The 10th record (not including two EPs, a live album and a “greatest hits” collection) from stalwart Toronto band Sloan, The Double Cross (just released on Yep Roc) also serves to commemorate the quartet’s 20th anniversary as a versatile guitar-pop collective. Guitarists Patrick Pentland and Jay Ferguson, bassist Chris Murphy and drummer Andrew Scott—all four write and sing their own tunes and often switch instruments onstage—have successfully forged a productive two-decade career full of preternaturally catchy songs and beyond-entertaining live shows. Thankfully, they don’t appear to be slowing down; The Double Cross continues the group’s winning streak, particularly the seamless opening 1-2-3 of Murphy’s “Follow The Leader,” Ferguson’s “The Answer Was You” and Pentland’s “Unkind.” (Check out the band’s YouTube channel for a track-by-track discussion of the LP.) 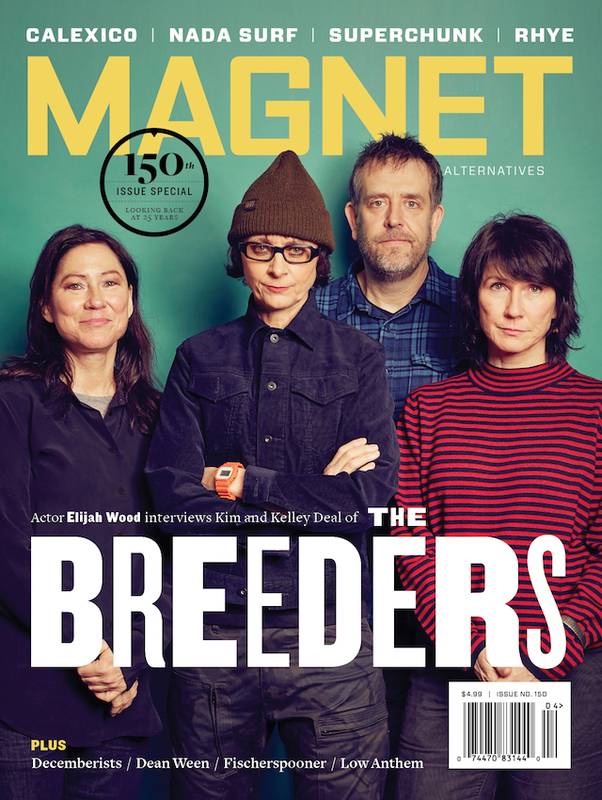 In their typically all-for-one, one-for-all fashion, the members of Sloan are guest-editing magnetmagazine.com this week. Read our brand new Q&A with Pentland. Scott: I play a lot of hockey. As a Canadian, I know about the inherent cornball cliché associations that go along with this pursuit. That aside, I’ve played every sport under the sun, and now that I find myself in my early 40s, I can say with clarity that this game provides me with a therapy and a gym, along with a most creative release from whatever my day to day holds, and I’ve never experienced that feeling from golfing or baseball or football—not even soccer or “football,” as it is known anywhere outside North America. I play at least three times a week. On ice. Full equipment. Goaltenders. Slap shots. Very fast and, occasionally, frighteningly competitive. Everything the game requests, save for hitting of one another. We all need our bodies intact afterward, thank you very much. I’ve had the great fortune to play alongside and against former and current greats of the game: Paul “I Have Five Stanley Cup Rings” Coffey, Bob Probert (R.I.P. 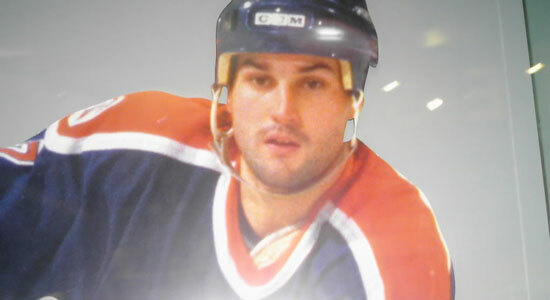 ), Lanny MacDonald, Mark Napier, Kirk Muller, Valeri Bure, Doug Gilmore. Gary Leeman, Wendal Clarke—the list goes on. I’m a pretty good player, and the love I glean from it comes from a Zen-like “losing myself” in the flow of an hour or so spent sweating and skating and taking or making a good play—feeding off the creativity of it. You’ll never play the same game twice. Scoring is so pitifully empty that the childlike memories of players raising their hands over their heads in celebration loses all meaning and place. There is no glory, especially when no one is watching. No one really cares what the score is after an hour of pickup hockey. But when you have the privilege of playing with people who played for 15 years in the NHL and can see and feel first-hand just how good they are—how fast they are still, even when they’ve been retired from the game for maybe longer—your relationship to the pure joy of being able to play with some gusto in your 40s gets slapped back into a very precise perspective. You cannot defend against these people. Your best hope is to appear on a line with one or two of them and to feel the precision and strength of a pass from a pro. That leaves you reeling with one basic reality: You’ll never have, nor have you ever had, what it takes to become a pro hockey player.